Afford yourself and your family a timeout from blue screens, smartphones and laptops once in a while! Try a retro dice game ready to keep players busy while enhancing their brainpower! For generations, children and grandchildren have enhanced their adding and subtracting skills without even know it, with this classic, competitive and fun game! Striking in its easiness, its rules are simple enough for young clever minds yet challenging enough for advanced players of all ages. 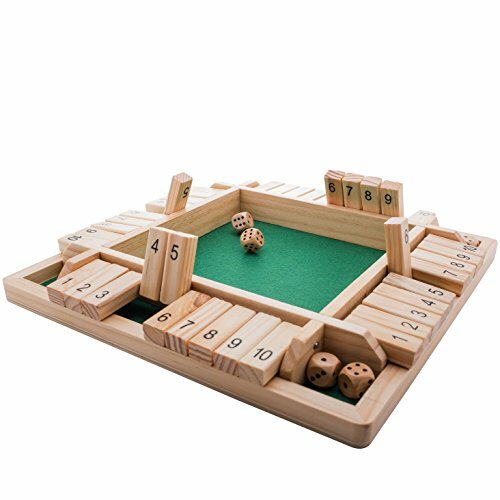 Shut the Box charmingly combines luck, strategy and speed of reaction. Players exercise their brains and cognitive alertness with every point they score. 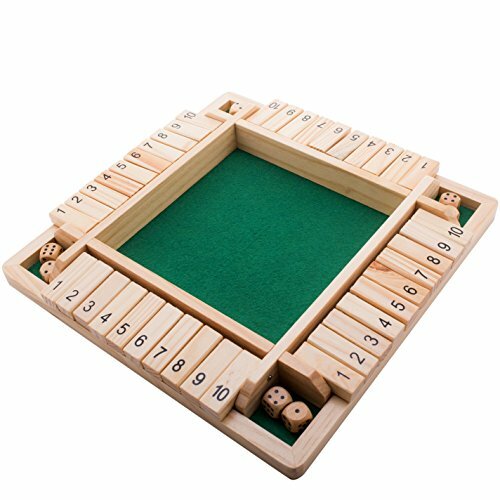 Shut the Box reinforces pattern and number recognition. Kids usually love it. If they can count, expect them to get hooked and play it for hours. Being fast paced, nobody loses interest. They’re having fun AND learning math at the same time. Superbly executed from the finest natural wood, this is a premium designed version of this popular numbered dice game. Large, with enough room to roll the dice, the wooden box has a beautiful green felt lining. Although it comes with instructions, you’re welcome to get creative and use as many number combinations you can and try different scoring methods. An excellent addition to any coffee table and a great opportunity to gather friends and family to spend more time together! 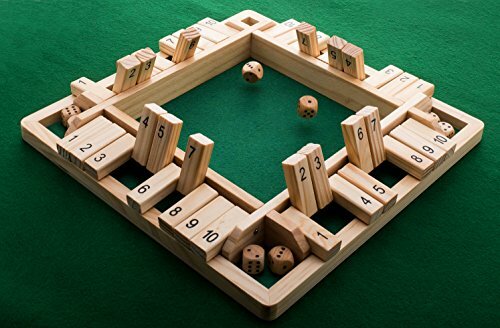 A great gift for fans of dice games or board games! Sharing is caring! Encourage your kids or your friends’ kids to grow up smart with a GrowUpSmart Shut the Box educational game. 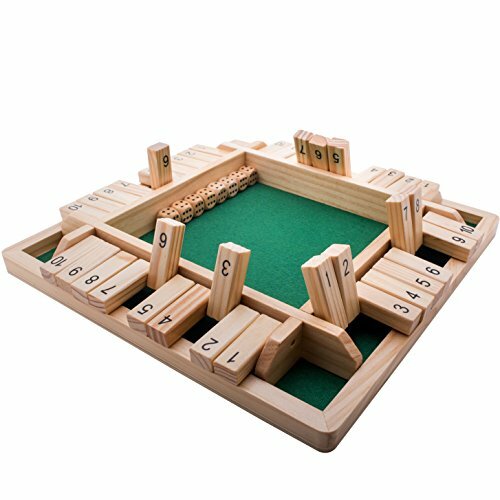 ✅CLASSIC SHUT THE BOX SQUARE GAME [for 2-4 players] loved by generations of friends and families! ✅Board measures 11.61 x 11.61 x 1.57 inches. Comes with 10 nice number tiles, 8 dice and instructions.